President Donald Trump faces a growing backlash over his choice of Matt Whitaker to serve as acting attorney general, with liberal and conservative legal experts questioning the appointment, NBC News reported. 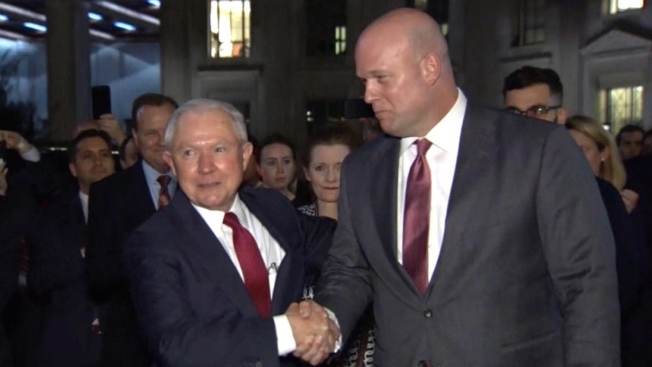 The controversy arises because Whitaker was serving Jeff Sessions as the attorney general's chief of staff, a position that was not confirmed by the Senate, and because a federal law specifies that the deputy attorney general takes over when there's a vacancy at the top of the Justice Department. But in making the choice, Trump bypassed Deputy Attorney General Rod Rosenstein, who had been overseeing special counsel Robert Mueller's investigation into Russian meddling in the election and Trump.